We humans are notoriously terrible about preventing problems — we’re much more motivated to treat them after they appear. But healthcare providers know that the old adage “an ounce of prevention is worth a pound of cure” is true. Smartphones and other popular smart devices including Jawbone, Fitbit and others, now have the capacity to help people track their progress towards a healthier lifestyle. Apps and devices to help track and monitor physical fitness but also chronic ailments like diabetes, Parkinson’s and heart disease are also being developed. But with smartphones and other devices, the device can impartially record and transmit the actual data — steps walked, heart rate, etc. — and the patient’s ego or opinions never enter into the equation providing more and more accurate data for researchers than ever before. The next logical step, then is giving doctors access to this trove of patient information. The medical industry already collects a huge amount of data, but it’s often siloed in individual doctors’ offices, hospitals, and clinics. Unifying that data — and combining it with patient-collected data from smart devices — is the industry’s next big hurdle to overcome. 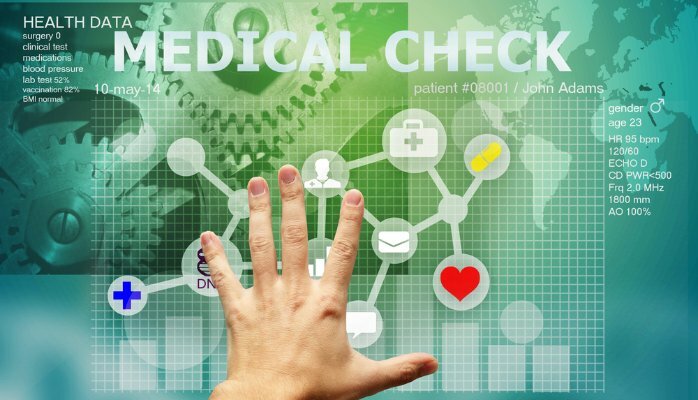 Healthcare providers are already focusing on digitizing patient records and ensuring access to one set of records across the healthcare system. For example, Kaiser Permanente has created a program called HealthConnect that unifies health records across its system, and the program is already credited with a $1 billion reduction in costs across the system. The Pittsburgh Health Data Alliance aims to compile data from various sources (including medical and insurance records, wearable sensors, genetic data and even social media use) to draw a comprehensive picture of the patient as an individual, and then offer a tailored healthcare package. I predict that more and more services like this will emerge in the future. In addition, programs like IBM’s Watson are being applied as pattern recognition programs to diagnostics. So far, algorithms with machine learning capabilities are proving as effective or more effective than human diagnosticians in spotting cancers in test results. The potential here is incredible for catching more diseases at earlier stages, and thus increasing the likelihood of treatment success. Big Data also allows the fascinating intersection of huge quantities of patient data with personal, individualized care. IBM’s Watson and other deep learning algorithms have already proven successful at “reading” and analyzing huge quantities of text. IBM is working to produce an interface that would allow Watson (or a program like it) to analyze the existing medical research on any given topic and then synthesize and summaries the information for the doctor. The result is that the doctor will be able to make the best treatment choices for an individual patient based on the vast amounts of data available — without having to spend hours doing the research himself. It’s likely that the medicines and treatments the doctor would then prescribe were also developed with the aid of Big Data. Data on applicants helps researchers choose the best subjects for clinical trials, and algorithms help them analyze the results. Recently, data-sharing arrangements between the pharmaceutical giants has led to breakthroughs such as the discovery that Desipramine, commonly used as an anti-depressant, has potential uses in curing types of lung cancer. In the near future, the doctor might also choose to use personalized medicine as a treatment option, which involves tailoring medicines to a person’s unique genetic makeup. It is developed by integrating a person’s genetic blueprint and data on their lifestyle and environment, then comparing it alongside thousands of others to predict illness and determine the best treatment. Big Data is also being used to track, analyze and treat epidemics across the world, including Ebola and Zika. Blog First posted on – Linkedin by Bernard Marr.